The Television Realm is under attack, and only the television junkie-Gex the Gecko-can save the realm. 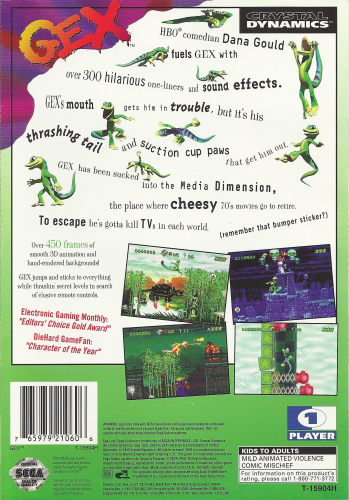 Take control of Gex as he travels through 24 television-themed levels in search of remote controls. Thanks to voice work from comedian Dana Gould, Gex has plenty to say throughout the entire adventure. 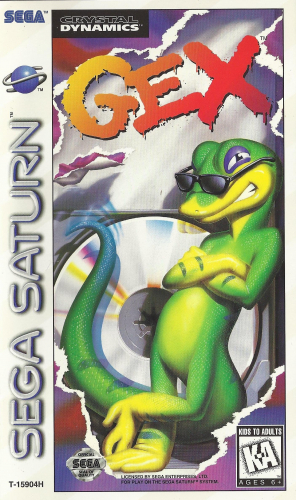 Only the Gecko with attitude can save the Television Realm in GEX: Enter the Gecko.